For those that know our parent company that specialises in AV furniture (www.lerange.co.za) here is our new venture into vinyl storage. 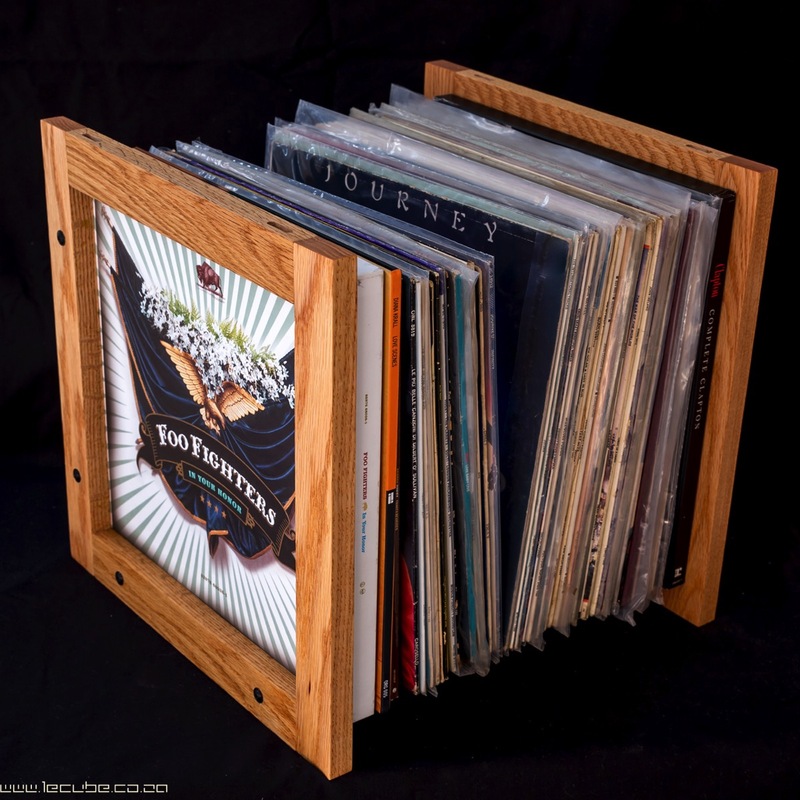 Eventually some info and pictures of our new hand crafted hardwood storage solution for your vinyl collection. The lecubes are light but very strong. They come flatpacked for easy shipping and assembly takes less than a minute. Only tool needed is a screwdriver (not supplied). 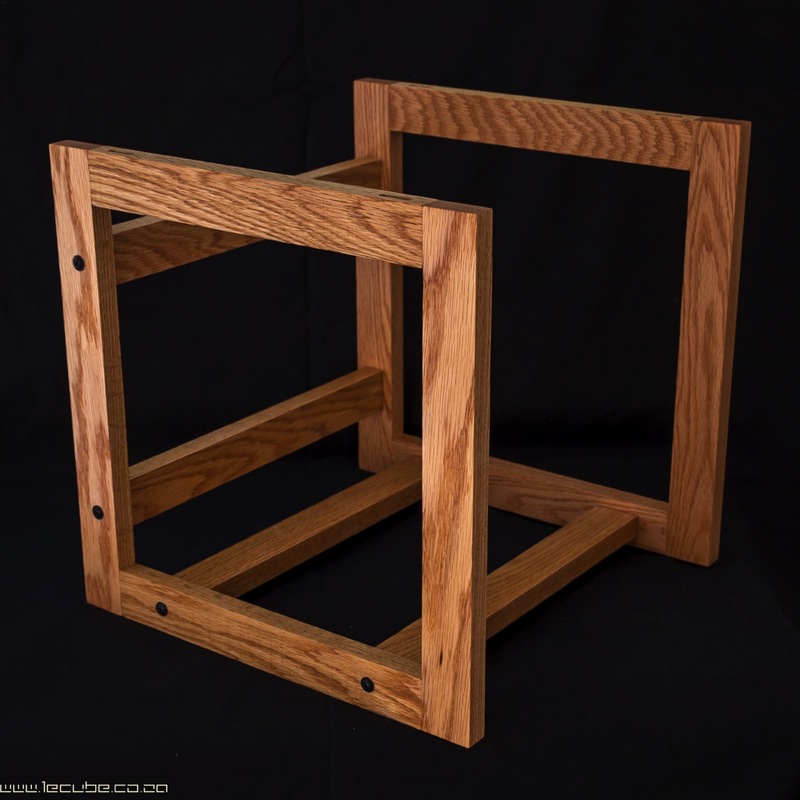 The lecubes are stackable with tight fitting wooden inserts connecting the lecubes and keeping your tower of lecubes stable. 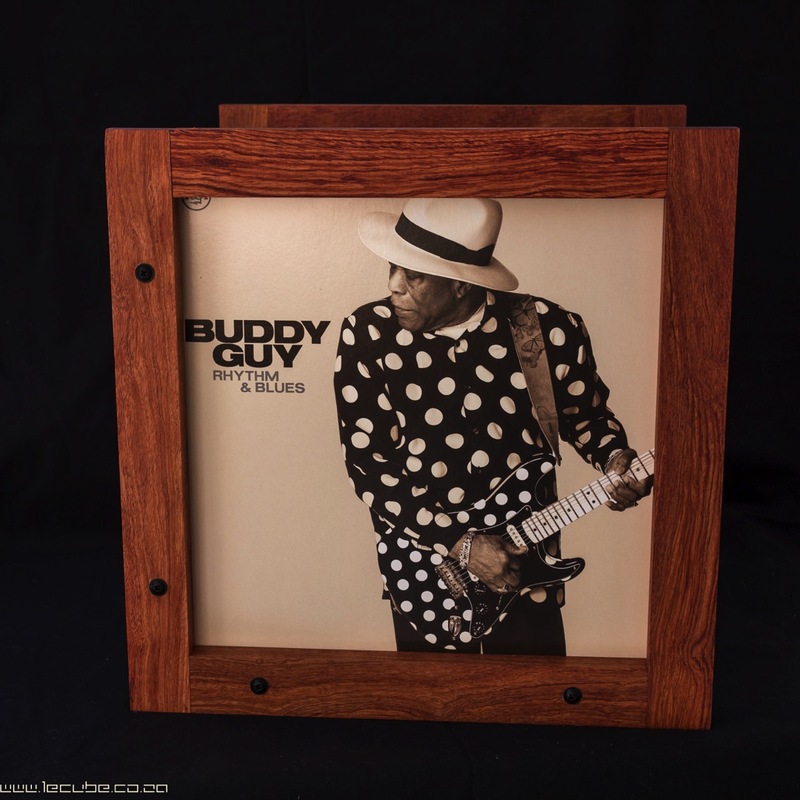 Each lecube will hold approximately 60-80 lp’s. 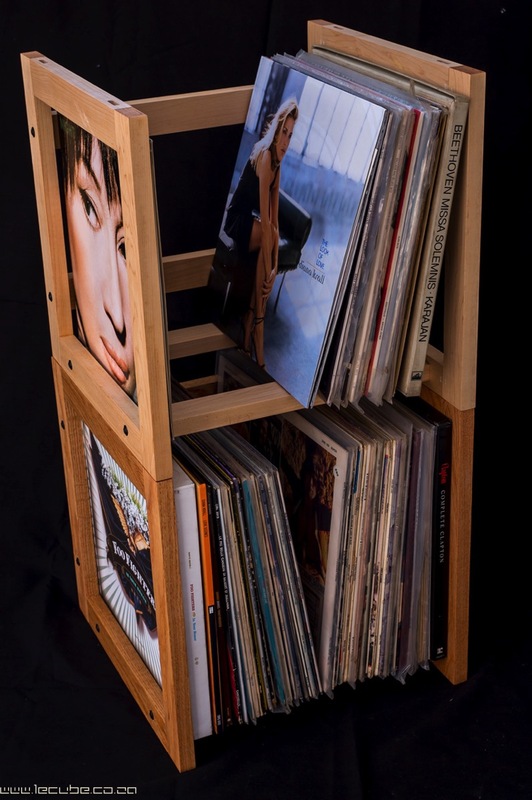 It is also very easy to move the lecubes filled with lp’s by using the top rails as handles. 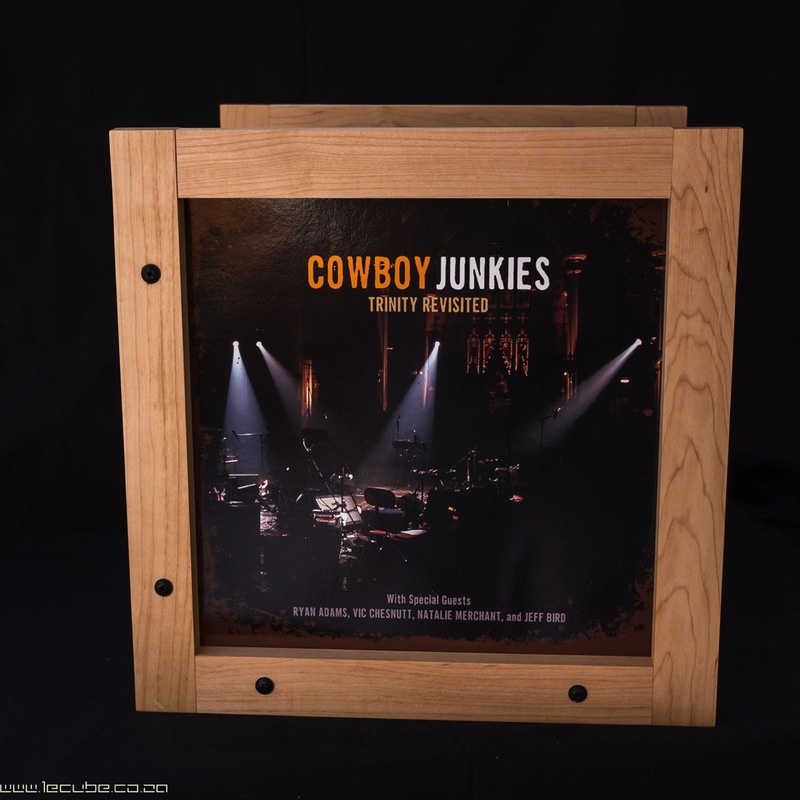 The lecubes was designed to frame your favourite cover art as well. The sides of the lecubes is dimensioned to show most of the art with minimal obscuring of the edges.